The Ash Kumar Henna Courses not only give you a firm grounding in the world of henna, but also give you that professional edge with a renowned qualification from the best in the industry. This hands on course you will develop your artistic talent and you will learn multiple artistic henna styles. 1St payment of £300 is required to enroll and secure your place in the course. How to hold and control the henna cone. AK Beauty International Certificate awarded on completion of the course. The foundation level is designed for the individual to get a better understanding of henna and teaches the key points in understanding the approach to henna designs. This gives the student a very good grounding platform for future ideas and development in creativity. This level is designed to enable the student to consolidate, practice and develop all the skills learnt in the course. Learning how to make the Professional Henna applicator. Creating the perfect recipe to guarantee the Darkest henna possible. Learning how to structure intricate designs on hands and where to start. This level is designed for individuals to achieve professional results and provides students an insight into the beauty/fashion/ wedding industry. Introduction to traditional Henna Designs. Learning how to make complex designs with clever planning. Learning how to create the simplest designs look more detailed and intricate. Learning how to put arabic and Indian designs together, with perfect application tips. The advance level concentrates on learning more complex designs, the signature Ash Kumar finishing techniques, introducing the latest trends incorporating the famous AK Glitter products. 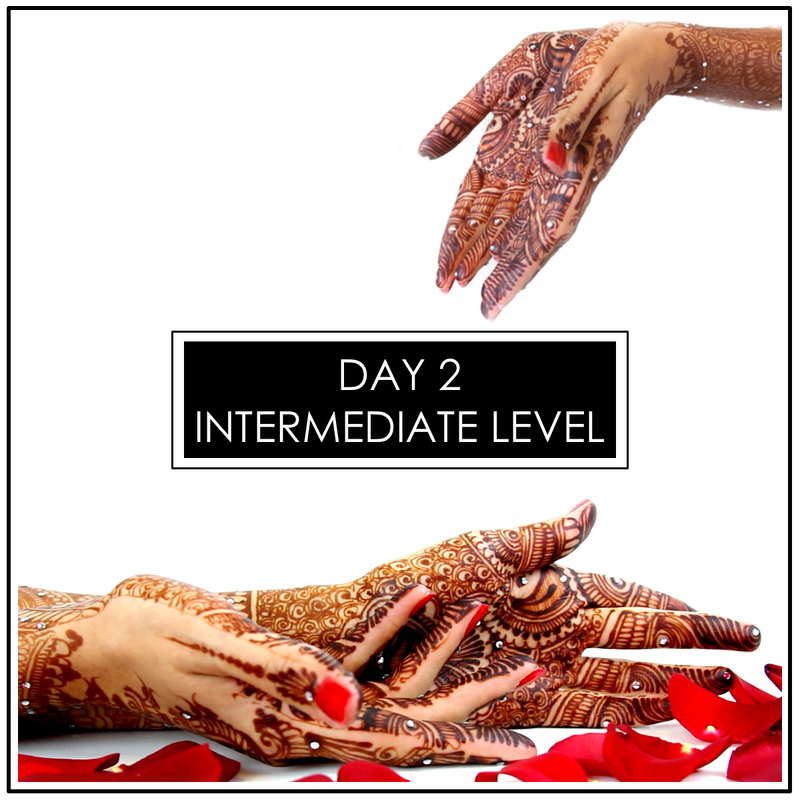 This level sets any aspiring artist onto the path of professional henna practice in the beauty/fashion/wedding industry. Using techniques from all previous levels, you will make the final journey in completing a Bridal design. The AK Secret Bridal Stencil and AK Bridal Foot Stencil not only provides you with guidelines but also gives you confidence in creating the perfect intricate detailing and also opens more creative ideas in constructing bridal henna. All notes from previous class must be reviewed and on hand during this session. How to construct the perfect bridal hand. How to separate toe designs from the top of the foot. How to position oneself and bride while doing bridal feet. Best tips and advice on creating current, designs for bridal feet.